Spring is coming! 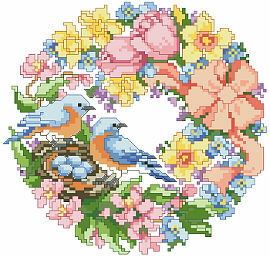 This sweet wreath full of cheerful spring colors and nesting birds is one of four seasonal wreaths that look perfect together stitched on a pillow or in a long line in a frame. Collect all four. Find it Here!